Happy Wednesday AJVD fans!! Wow... summer is in full swing and July is almost over!! 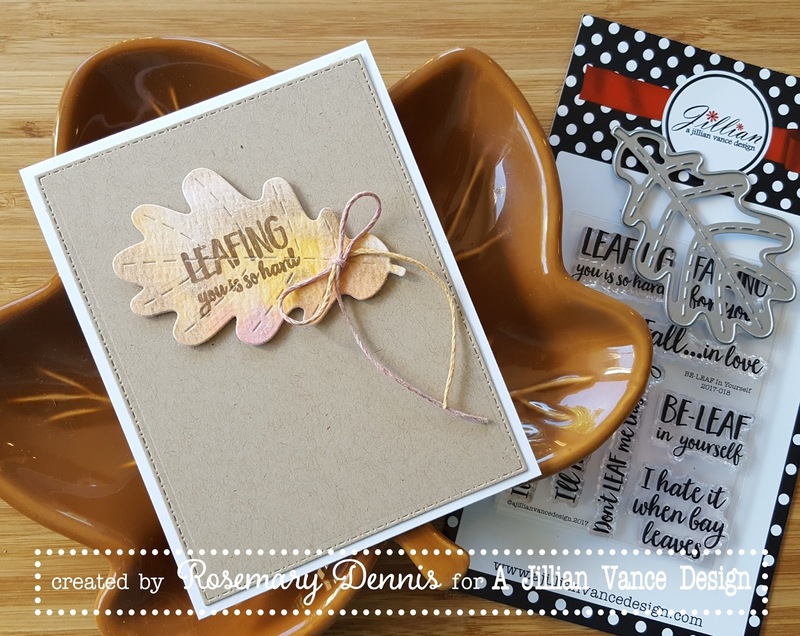 I was going to do a "Christmas in July" card, but when I got my new AJVD goodies (you can find them right here in the AJVD store) I decided to make a fall inspired card instead. 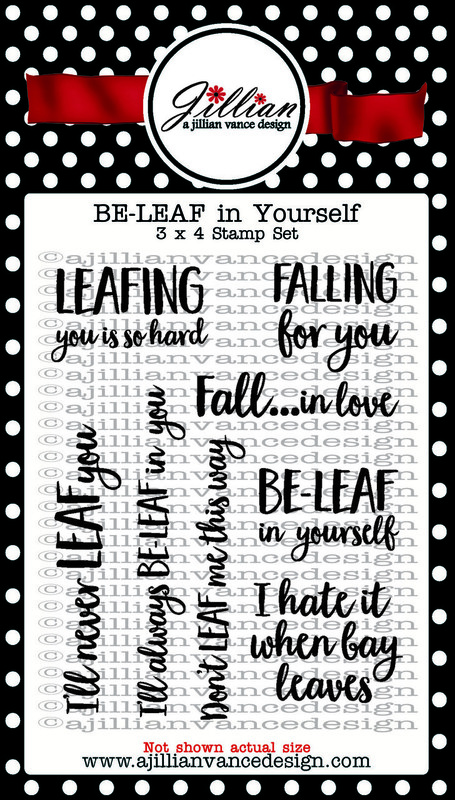 I used the new Be-Leaf in Yourself stamp set, as well as one of the dies from the Grand Leaf Trio die set. 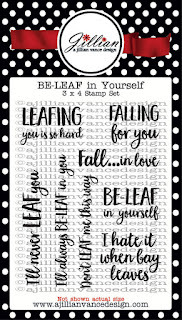 The BE-LEAF in Yourself stamp set has so many cute, punny sentiments! It is a must have for sure! A week or so ago I was messing around with my watercolors and created a couple of panels that I didn't really care for, but I kept them because I thought I might be able to use them for something else. As I was thinking about what I wanted to create those panels came to mind and I dug them out. 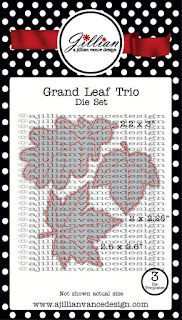 The first thing I tried didn't work, but then I decided to use one of the leaves from the Grand Leaf Trio die set. I figured out which leaf would work with the sentiments and settled on the oak leaf. 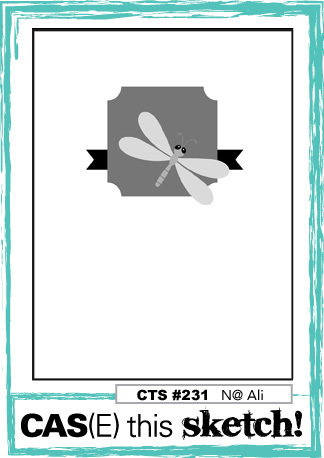 I should have stamped the sentiment first and then die cut, but I did it in reverse so to get a nice image I just used my MISTI to do multiple stampings. 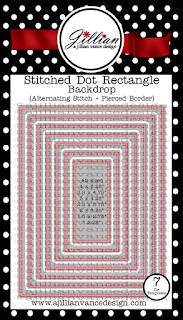 A panel of kraft cardstock was die cut with a Stitched Dot Rectangle and then I added the leaf and a little twine bow treatment. I used the sketch from the current CAS(E) this Sketch so I will add it to the line up there. Adding this to the current Simon Says Stamp Wednesday challenge of anything goes. Good thing you saved that panel as it made a gorgeous leaf! Fun card, Rosemary! Lovely leaf - gorgeous in the soft colors, Rosemary!! Love the coloring on the leaf Rosemary! 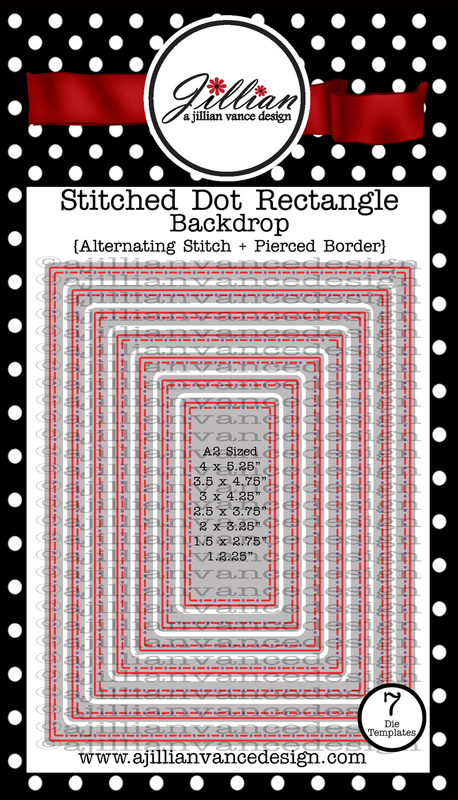 This is a wonderful CAS card! Rosemary, that is one beautiful and lovely CAS Fall card. Love your colors on the leaf, too. 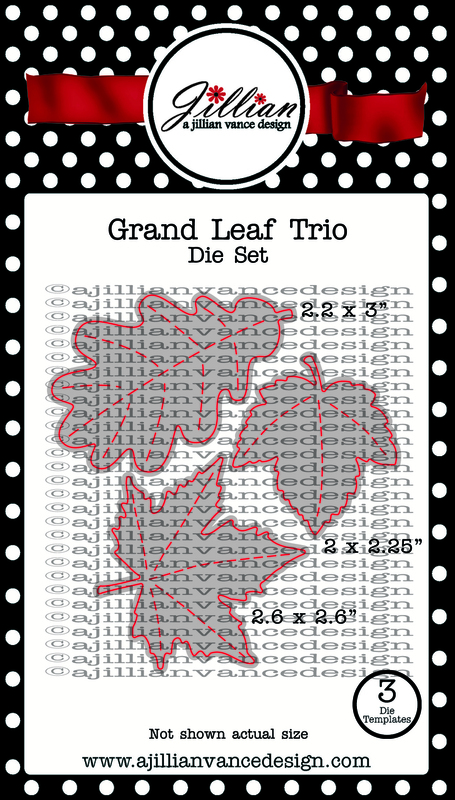 Both leaf die set and sentiment are fantastic designs. Thank you for the inspiration. This is a beautiful fall card, I LOVE the colours on the leaf, so pretty.